﻿ Presidential Apartments Marylebone London. JIMAT di Agoda.com! Ada soalan mengenai Presidential Apartments Marylebone? Direka untuk kedua-dua tujuan perniagaan dan percutian, Presidential Apartments Marylebone terletak di lokasi strategik di Hyde Park; salah satu kawasan yang paling popular di bandar tersebut. Hanya 1.8 Miles dari pusat bandar, lokasi strategik hotel memastikan tetamu boleh ke mana-mana sahaja dengan cepat dan mudah ke tempat-tempat tarikan. Persekitaran yang terjaga dan kedudukan berhampiran dengan Talking Bookshop, Hay Hill Gallery, Mercer membuatkan penginapan ini menjadi tarikan. Di Presidential Apartments Marylebone, perkhidmatan yang cemerlang dan kemudahan yang unggul menjadikan penginapan anda tidak dapat dilupakan. Semasa menginap di penginapan yang indah ini, tetamu boleh menikmati Wi-Fi percuma semua bilik, pengemasan harian, dapur, khidmat teksi, khidmat tiket. Suasana Presidential Apartments Marylebone terpancar di dalam setiap bilik tetamu. televisyen skrin rata, internet wayarles, internet wayarles (percuma), bilik larangan merokok, penyaman udara hanyalah sebahagian daripada kemudahan yang boleh didapati di hotel tersebut. Di samping itu, pihak hotel menawarkan aktiviti rekreasi untuk memastikan anda mempunyai perkara untuk dilakukan sepanjang penginapan anda. Dengan lokasi yang ideal dan kemudahan sepadan, Presidential Apartments Marylebone sangat memuaskan hati. This is my third time staying at this property. It's very near Oxford street, just less than 5 minutes walk you will be at Selfridges. There are many bus stops around, making your travel in London easily. Since the property is an apartment type, you can fix your own meal with all the kitchen utensils provided. Next door is Tesco Express, where you can get you food supplies from 7 a.m. - 11 p.m. This is my third time staying at Presidential Apartments Maryelone this year. 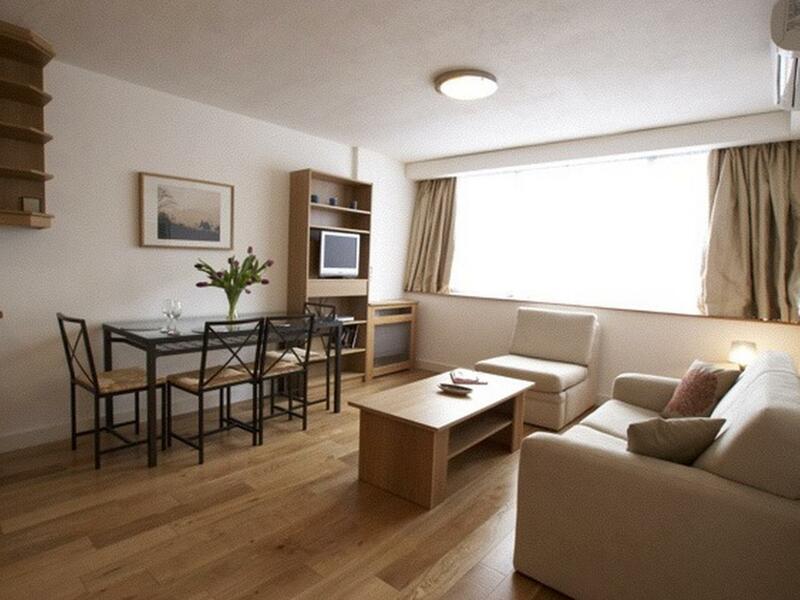 The location is great, just few minutes walk from Oxford Street's Selfridges and M&S. There are bus stops near by that can take you to many tourist attractions. In the room, there is a kitchen that you can fix your own meal. But there are no staffs from 10 p.m., if you arrive after that, you still can pick up the keys at the opposite premise. But overall, I will always stay at this place whenever I go to London. Check in was easy Staffs were great Rooms were spacious Had our own kitchen and washing machine. Tesco supermarket was just downstairs. Very safe environment as no outsiders could access the building. A bit bit pricey but definitely recommend for those travelling with children. Worth the money since it’s located in a strategic area.. walking distance to Oxford Street and Paddington Street (the shopping area), etc. There were some disadvantages of this apartment like the old sofa bed with a thin matress that made my kids a lil bit uncomfortable sleeping there, but the main bed itself was so comfortable. And also the water from the showerhead wasn’t swift, so made us a bit hard to bathe. But overall I like to stay here, it fits for the family of 4 like us. The hotel is just few minutes walk to Selfridges and M&S Oxford Street. There is Tesco Express next door, so you can easily fix your own meal with kitchen provided. There is no 24 hours staff, office only open 8am-8pm, but if you need assistance, there is an emergency phone number and also the staff at the opposite building can help. This apartment was very convenient to convenient store, café, eatery and shopping. It is about 500 m to nearest tube station. Though the apartment is a bit old but the bed was comfortable. The bathroom was small and having a noisy pump. Not all the washer in the room is working properly. 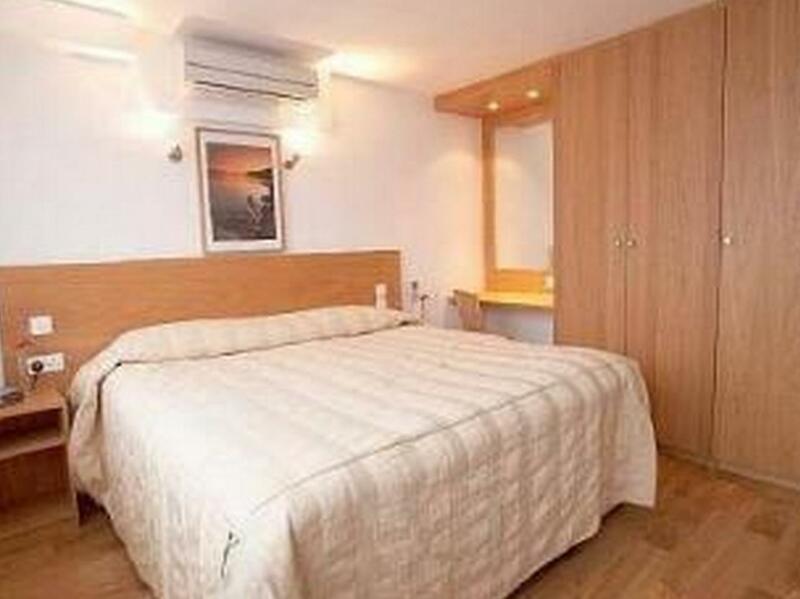 Best location, friendly staff, the room is clean, very comfortable, very convenient & very near to oxford street. Large apartment for London. Clean but tired decor and furniture. Comfy large bed. My apartment was at rear where there is a very noisy car park with extensive bin moving / filling activity from very early. Inauspicious entrance and corridors uninviting with dirty brown carpet. Daily room service. The place is just 5 mins walk from Selfridges, Oxford Street. You can find everything around the hotel. The bed is comfortable, WIFI is good. There is kitchen in the room with oven, so you can easily fix your own meal. There is Tesco Express next door where you can find anything you may need. The hotel has no 24 hours staff, you might need to collect the key from opposite building if you arrive late. 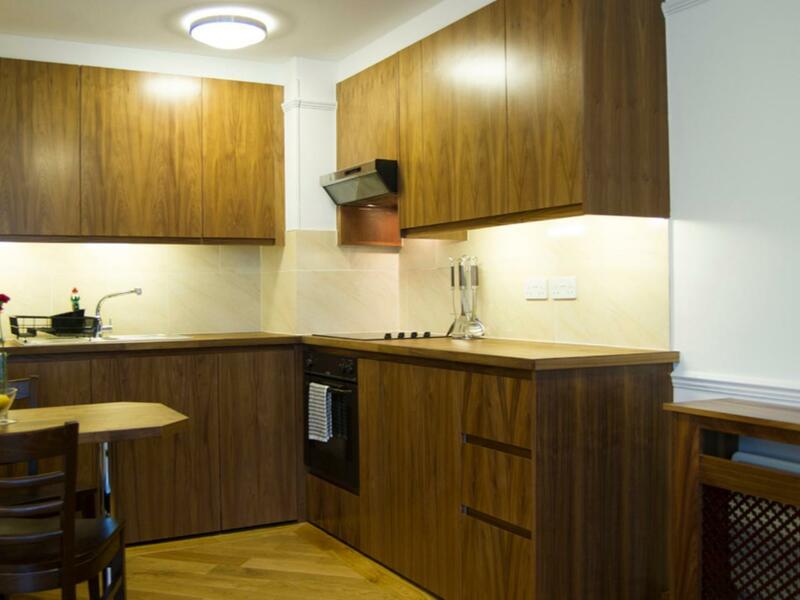 The apartment is located about 400 metres from Centre of Shopping Heaven in London ie the Oxford Street. Facilities and all amenities are complete. Room is being cleaned everyday even during Xmas and New Year. Staff ie receptionist and the housekeeping staff are very polite. I highly recommend this apartment to those who wants to just chill in London. Kitchen with fridge and freezer . Even a washing machine was available. Only minor point was the unavailability of a plug for the bathtub. Other then that this place is nicely situated just off Baker Street. As late arrival advised to pick up key from business opposite. Met with excellent customer service and couldnt have been more helpful. Overall was impressed with suite. Kitchen area with everything from cooker to microwave & fridge.All utensils crockery & glassware. Sofa turns into extra small double..with also superking in bedroom area. Sheets and duvets good quality and very clean. Seemed wasted and little strange being set up as booked as single traveller. Room also had safe,ironing board /iron and hair dryer.Large flat screen tv even with video player. Very very large window giving an airy feel. Bathroom well equpped with bath and shower over, all complimentary good toiletaries and abundance of towels. Only downsides. First impressions with lift and corridor carpets showing signs of wear..In rooms. Wooden floors although clean could do with being refurbished and curtains also quite difficult to close and Didnt see any staff as left very early but clear procedures if needed anyone. Location is no doubt superb, with a tesco express right at the doorstep and lots of food everywhere. Don't expect to get a 'serviced apartment'. Building is old, rooms are even older. The first one bed room apartment I got was not super clean, sticky residues all over the floors. The room stinks and the bathroom was just simply bad, the noise that the shower makes can wake the whole street up. I also get to experience the presidential suite which I really suggest everyone to upgrade too. The place definitely looks way nicer and cleaner and more modern. However, every single pot and pans needs replacements, my bathroom was faulty (hot water does not come out and it was too late to call for service). Overall, if you just need an apartment with great location, okay beds and don't mind everything else that worsen the experience, go ahead and book the presidential suite.. Fantastic neighbourhood, quiet but close to great restaurants and shopping. Have the option to prepare snacks in too with the kitchen and do laundry with the washer and tumble dryer. Would definitely stay again ! Very comfortable apartment. It has everything you need, a kitchen, fridge, etc. The location is very good, only 5 minutes walk from Selfridges. There is Tesco Express next door and Little Waitrose just around the corner, so you can easily fix yourself a meal. The only thing we could think of was missing was a sachet of laundry powder for the washing machine. Otherwise we were surprised by the space and facilities. Having big opening windows that did not look at the side of another building was awesome. . Amazingly quiet for such a central position. The washing machine was spoilt throughout our stay there. Was very disappointed. We called and informed the staff but nothing was done. Overall was fine. Tesco is located just right beside, it's very convenient for us. 10-15 mins to oxford street. about 10mins to the nearest tube. Will probably give it a miss here for our next visit next year. Excellent Hotel..In all ways possible...Very Good Location to nearby shopping precint & dining areas...Staff service was approachable and tidiness was apt..More economical compared to other serviced apartments..Very cosy & serene ambience...Convenient location for airport transfer at additional cost...Overall, an excellent choice. Generally we were pretty happy with this hotel and the service ws fine, only issue was on a couple of nights it tended to be pretty noisy even until the early hours. This is not the hotels fault really but the area in general so if you are looking for peace and tranquility or a guaranteed good nights sleep then this is probably not the right choice for you. The free wireless internet connection ws useful.